​Sadly, I didn’t hit my goal of a 100 silver coins for the year. 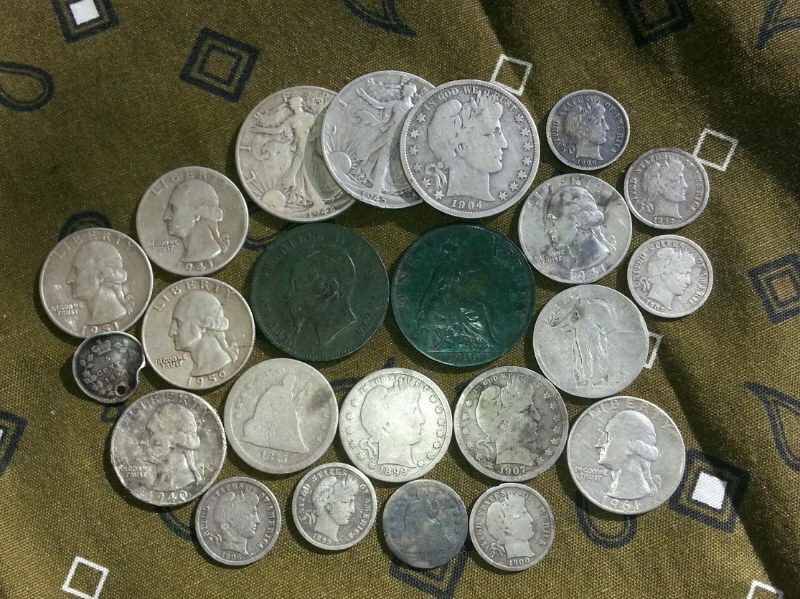 I did manage to break my annual silver coin finds record. I managed 87 silver coins this year compared to 84 last year. I’m pretty proud of this accomplishment considering I live in an area of “hunted out” parks. There’s no such thing as a hunted out park unless all the dirt is bulldozed and removed. The Etrac has been a silver finding machine for me. I cannot stress enough, learn your machine. Two years ago when I first bought the Etrac, I remember wondering if I wasted my money. Then I started doing my part by researching old parks, hunting the whole park, not just the common areas. 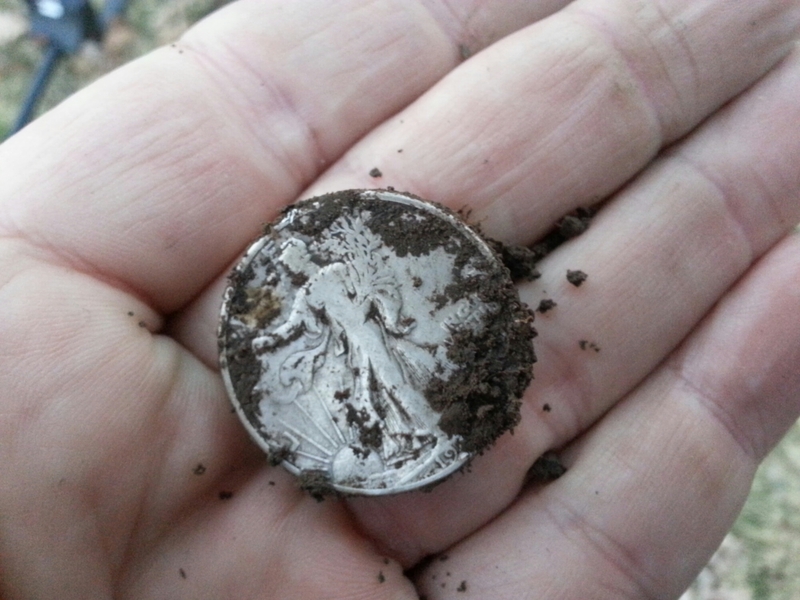 I found my third Walking Liberty half dollar in area of a park nobody would have guessed it would have been there. It was by itself with no other coins surrounded by pieces of tinfoil. Who knows why, but I was glad to find it. I’m determined to hit a 100 silver coins, so it will be my goal for 2017. Good luck and happy hunting in 2017.